Sarah Jessica Parker is a famous actor who has charmed the audience worldwide with attractive looks as well as acting ability & performances. Mainly known for playing lead roles in romantic movies, Sarah Jessica Parker has worked with many other celebrities which have produced blockbusters romance movies. Here is the list of romantic films starring Sarah Jessica Parker. 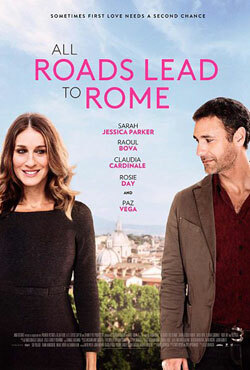 All Roads Lead to Rome is a romantic comedy about a single mother’s attempt to connect with her daughter which takes her to Rome and helps her bond with a former lover enroute.